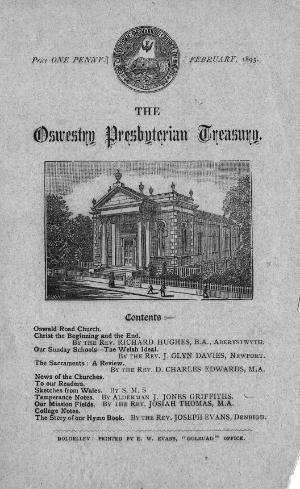 A monthly religious periodical serving the Presbyterians of the Oswestry area. The periodical's main contents were religious articles and denominational news, with The Monthly Treasury included as an inset. Associated titles: The Monthly Treasury (1894).